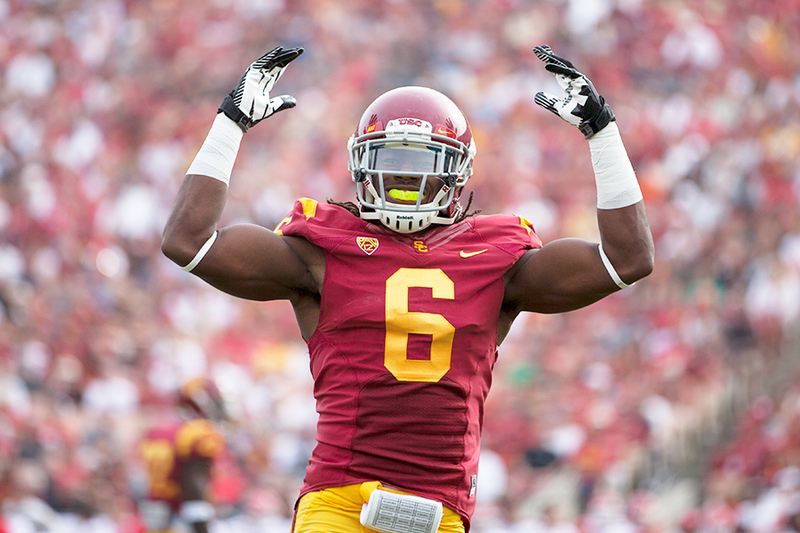 LOS ANGELES, CA — News broke this past week that USC football player, Josh Shaw, made up a story about how he injured his ankles. The story that he lept from a balcony to save his drowning nephew, was apparently a complete fabrication. The real story though, is much more incredible. Allegedly, Shaw was at a party with some friends, when he saw the neighbors house on fire. Without a second’s hesitation, Shaw ran outside, turned on the fire hydrant, and channeled gallons of water toward the burning house using a makeshift fire house he constructed in less than 30 seconds. After putting out the fire, Shaw noticed a young girl in the middle of the road about to be hit by a speeding van. Shaw reacted instantly, leaping 20 feet through the air and saving the girl from certain death, while he himself was hit by the oncoming vehicle. Shaw was unharmed, however. Shaw then got up to see that a Grizzly bear had wandered into the neighborhood and was getting close to some of his friends. Shaw, a licensed animal control expert, used a combination of threatening body motions and a calm demeanor to get the bear to peacefully leave. Some would think this would be enough for one day, but not Josh Shaw. Hearing police sirens, Shaw ran, on foot, to a robbery in progress. Seeing the standoff, Shaw turned to the police, said, “I got this,” and proceeded to walk into the convenience store, unarmed. Shaw talked the gunmen down, got them to turn themselves over to the police, and call their mothers on the way to the station to tell them they were sorry for their actions. On Shaw’s way home, reflecting on the past hour of heroism, he tripped suddenly over an uneven slab of concrete, causing him to fall down a flight of stairs, resulting in high ankle sprains on both of his ankles. “I just thought me saving a drowning nephew would be less impressive,” said Shaw when we asked why he lied about his incredible string of heroic acts.